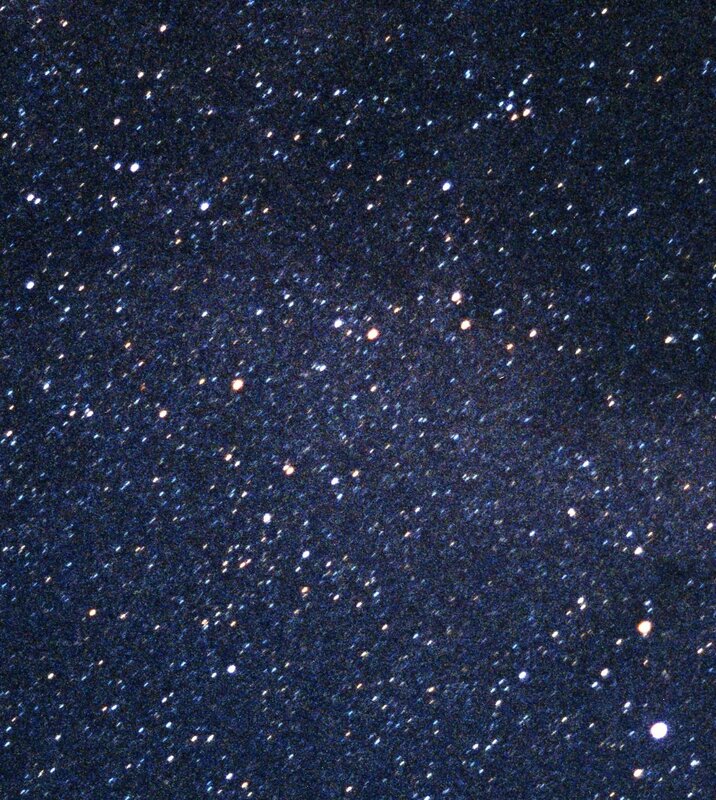 Sagitta, the Arrow, lies at center, the first magnitude star Altair in Aquila seen down at lower right along with its flanking Tarazed (Gamma Aql) just above it. The five-star arrow points to the left (east), the constellation's only named star, Sham, the upper "feather" to the right of center. Beta is just down from it. 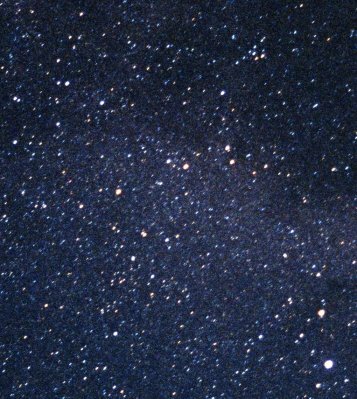 Gamma Sagittae, the constellation's brightest star, lies at the tip of the arrow, to the left of center, while reddish Delta Sge is just above the center. Zeta Sge is to the left of and just up from Delta. S=10 Sge is the right hand star of the brighter (lower) pair below Delta. The "W" of Vulpecula lies at the upper left, the Coathanger non-cluster at upper right. The Milky Way runs through the center of the picture. See Sagitta from Flamsteed's Atlas Coelestis Edition of 1781. For more about Sagitta, see Chasing the Fox on Stellar Stories.